DON'T PASS UP! we will always leave you satisfied. corner has small dent. (Only accessories in pics is what you will receive). 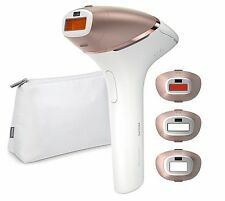 ILUMINAGE Touch Elos Quartz Hair Removal Technology System. Condition is Used. Shipped with USPS Priority Mail. Tria Beauty Permanent Laser Hair Removal 4x - Newest Model LHR 4.0. Condition is Used. Shipped with USPS Priority Mail. In pristine condition. Only used a few times. Please make sure your skin tone will work with this product before buying. You send us your Tria with worn or dead battery. YOU ARE NOT BUYING A TRIA LASER UNIT. Tria laser hair removal units have batteries that are not user replaceable. Th i s is a precision engineering service. Does not appear to be used. The seal is broken. Professional and safe IPL (intense pulse light) technology：with clinically tested for permanent visible hair removal. 400,000 Flashes excellent quality quartz lamp：Ensure a long service life for itself due to its 400,000 Flashes excellent quality quartz lamp. Remington I-Light Pro Plus Quartz hair removal system with CD, instruction manual and box. Good condition. Silk Expert Pro 3, le tout dernier modèle. 2 Fois plus rapide que les anciens modèles d’épilateur lumière pulsée silk·expert 3. °°° BRAUN °°°. La dernière génération d’épilateur lumière pulsée (IPL) de Braun. It's ideal for long lasting hair removal for bikini line, underarms and legs and is safe enough for use on the face too. It's corded so it's always ready to use. It also has an integrated safety system to prevent unintentional flashing. 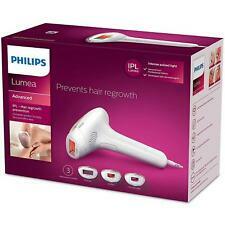 IPL3500 i-Light IPL Hair Removal System. Remington iLIGHT Essential. Intense Pulsed Light (IPL). Reveal your naturally beautiful skin with long-lasting hair removal that’s fast, comfortable, and effective. NO VENUS RAZOR INCLUDED . for body and face. Includes all item(s) seen in picture(s) ONLY. Actual item pictured. About 6780 IPL. Simply treat the desired area of your body once, in 2-week intervals, for just 6 weeks . Remington 6780. The Remington iLIGHT intense pulsed hair remover is a safe and pain free solution to hair removal for your face and body . This part is an original Syneron part. LaserTech is not affiliated, associated, authorized, endorsed by, or in any way officially connected with Syneron Candela or their affiliates. The use of any trademark is for identification and reference purposes only and does not imply any association with the trademark holder. Remington Haarentfernungsgerät i-Light IPL6780 mit Aufsätzen für Körper & Gesicht. Effektive Haarentfernung mit leistungsstarkem IPL Gerät für Zuhause von Remington: Dank der lichtbasierten IPL ProPulse-Technologie werden. Modernste IPL-Lichttechnologie, die auch von Hautärzten zur professionellen Haarentfernung angewendet wird, deaktiviert die Haarwurzel tief unter der Haut und verhindert so das Nachwachsen der Haare. Beine: je ca. 18 Min. IPL stands for Intense Pulsed Light. As a consequence, the amount of hair your body grows gradually decreases. It works on naturally dark blonde, brown and black hair and on skin tones from very white to dark brown. 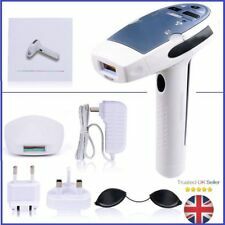 Rio Salon Laser Scanning Hair Remover. This has never been used. Complete with Instructions, DVD and box. Features of the Silhouette laser hair remover: - Easy to use semi-conductor laser system with no undesirable side effects. - Slim and portable design, convenient for case or handbag when travelling. Remington’s enhanced ProPulse Technology - a clinically proven Intense Pulsed Light that targets hair directly at the roots, resulting in permanently hair-free, super-smooth skin, so you’ll be ready for anything. 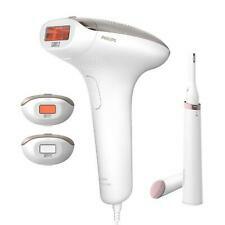 Rio Salon Laser Hair Removal System. Includes DVD. Clinically proven to be safe and effective on the widest range of hair colors, including white, gray, blond, red, brown, black, and other hair colors. FDA Cleared. UL Listed. 47” Detachable cord. Permanently removes hair on the whole body including face with average 46% permanent hair reduction in just 2 weeks and up to 94% hair reduction achieved in just 7 weeks. The Tria Hair Removal Laser 4X is an award winning hair removal device that produces the laser-smooth skin of your dreams for everlasting results. Tria Beauty Hair Removal Laser 4x Green. ► Tria 4X Won the Instyle Awards 2016 as Best Beauty Buy. NWB Remington i-LIGHT Pro Premier Intense Pulse Light Hair Removal .!! !